The Best Wedding blogs from thousands of top Wedding blogs in our index using search and social metrics. Data will be refreshed once a week. Also check out Wedding Podcasts and Top Wedding Youtube Channels list for Top videos on wedding. 2.2 CocoMelody Mag | Amazing source of wedding inspiration! Wedding newsletter is a comprehensive summary of the day's most important blog posts and news articles from the best Wedding websites on the web, and delivered to your email inbox each morning. To subscribe, simply provide us with your email address. About Blog A style savvy wedding resource devoted to the modern bride's journey down the alter with gorgeous real weddings, vendor recommendations and much more! Facebook fans 3,447,329. Twitter followers 184,171. 2. CocoMelody Mag | Amazing source of wedding inspiration! Sydney, Australia About Blog Modern Wedding Magazine is your ultimate bridesmaid – We'll help you with inspiration, invitations, flowers, wedding dilemmas, dresses, deals AND connect you with the most talented and trusted wedding vendors. Facebook fans 1,534,007. Twitter followers 7,678. About Blog GWS features beautiful details to help make your wedding memorable! We're all about fashion, from brides to bridesmaids to grooms to styling your venue. We help brides find inspiration wherever that may be - showcasing real weddings, fab finds, inspiration boards, talented vendors, and gorgeous photos. Facebook fans 450,218. Twitter followers 66,720. About Blog A wedding blog for stylish brides and creative couples. Facebook fans 280,397. Twitter followers 76,503. Global About Blog Whether you're planning a wedding now, dreaming about one someday or just watching a friend obsess over hers, we’ve got you covered! - Read up on the latest wedding trends, ideas, and news. Facebook fans 376,413. Twitter followers 71,985. About Blog A Wedding Blog that actually helps you plan a wedding. Budgets, logistics, and advice included. Plus, marriage. Facebook fans 85,791. Twitter followers 15,058. About Blog A wedding blog updated daily with beautiful real weddings, unique ideas, inspiring imagery & creative wedding films. Facebook fans 36,852. Twitter followers 32,267. About Blog ALLUREBRIDALS.COM is your source for all bridal dresses, bridal gowns, wedding gowns, bridesmaid dresses and mother of the bride dresses. Captivate your audience wearing Allure Bridals latest creations. Having set the industry standard time and time again quality and craftsmanship is never compromised. Each gown is hand sewn with attention and detail throughout. Facebook fans 237,742. Twitter followers 7,178. Facebook fans 106,298. Twitter followers 234,335. USA About Blog Your Inspiration for an unforgettable Wedding Celebration. The Blog from David's Bridal - the leader in Beautiful Bridal Gowns and Dresses! Facebook fans 1,410,698. Twitter followers 29,745. About Blog Weddingbee®is a wedding blog updated daily by 20 real brides around the world We feature blogs, boards, bios, classifieds, galleries, a diy template section and a wiki, with a core focus on real brides’ wedding planning journeys from engagement to “I Do” and beyond. Facebook fans 343,639. Twitter followers 67,379. Seattle, WA and EVERYWHERE! About Blog Advice, photos, and thoughtful commentary for couples who are seeking to have a truly authentic, offbeat wedding. We're the web's most popular wedding blog for alternative wedding planning advice, unique wedding ideas, wedding dresses, invitation wording, and more! Facebook fans 155,940. Twitter followers 21,893. Bay Area, CA About Blog The Wedding Paper Divas wedding blog celebrates every couple with useful tips on planning, photography, etiquette & wording, DIY's, and wedding printables. Facebook fans 630,309. Twitter followers 122,752. Everywhere About Blog Oncewed.com is a daily inspiration website for weddings that are elegant, natural, and personal. Our mission is to help every bride find their dream dress and plan their dream wedding. Facebook fans 103,699. Twitter followers 83,724. Ireland & UK About Blog Dedicated to finding the most beautiful, interesting and original wedding ideas and providing the best advice to couples planning their wedding. Facebook fans 104,166. Twitter followers 17,676. Ontario, Canada About Blog A blog dedicated to small and intimate weddings. Step inside for oodles of DIY wedding ideas, real weddings and unique small wedding venues that will make your intimate wedding as charming and one-of-a-kind as you are! Facebook fans 25,324. Twitter followers 5,548. Jamestown, NY About Blog Find affordable DIY solutions for your wedding with premade silk bridal bouquets silk flowers & wedding decor. Facebook fans 21,287. Twitter followers 2,568. Las Vegas, NV About Blog Find the latest blog posts about planning a wedding and music suggestions for your upcoming event. Professional DJ created wedding song lists for every aspect of a wedding ceremony and wedding reception. Facebook fans 2,238. Twitter followers 2,557. About Blog Launched in October 2007, Elizabeth Anne Designs is a wedding and lifestyle site updated daily with real weddings, DIY projects, inspirational wedding ideas, and tips and stories from real brides and newlyweds. Facebook fans 606,010. Twitter followers 16,248. NYC About Blog Helping Brides Plan a Beautiful Wedding Without Breaking the Bank! We share free printables, real budget weddings, and affordable DIY projects to save you money on your big day! Facebook fans 14,561. Twitter followers 17,330. About Blog This is the best wedding podcast to help you figure out how to plan your wedding AND save money. Listen to founder/editor Lindsay Jones and her co-host (and husband!) Cory as they help you navigate weddings and relationships, one episode at a time. Facebook fans 132,327. Twitter followers 932. About Blog The Wedding Blog For The Sophisticated Bride is an online resource for stylish brides looking for wedding trends, sophisticated ideas, fresh inspiration, steal worthy weddings and practical advice to make their wedding day affordably fabulous. Facebook fans 17,439. Twitter followers 3,422. United States About Blog To serve brides by providing great wedding planning tips, helpful tools and invaluable resources for turning their wedding dreams into reality. Facebook fans 41,686. Twitter followers 56,742. About Blog Bridal Guide Magazine has everything you need to plan your wedding, with registry advice, honeymoon info, dresses, beauty tips, real wedding photos and more! Facebook fans 639,109. Twitter followers 76,729. UK About Blog Bespoke Bride hosts a plethora of wedding ideas, inspiration and advice all topped off with a sprinkling of character. Bespoke Bride isn’t just another wedding blog, it is a simple way to inspire couples to create a wedding day that is unique, customised and full of personality. Facebook fans 13,659. Twitter followers 10,109. About Blog South African Wedding blog filled with free bridal resources & printable wedding workbooks. Daily Wedding Ideas, Real Brides, Wedding DIY, Wedding Ideas. Facebook fans 24,989. Twitter followers 5,380. About Blog Every Last Detail provides inspiration, ideas, and insight encompassing every last detail of planning a wedding. From inspiration to wedding planning tips and tricks, inspiration and education is the key goal of ELD. Coming from the perspective of a recent bride as well as an event professional, there is sure to be something for everyone on Every Last Detail! Facebook fans 14,661. Twitter followers 17,403. Chestnut Hill, Philadelphia, PA, USA About Blog Planners blogging about helpful tips for DIY couples who are planning their own wedding! Services we provide - Venue Selection, Full/partial-Coordination, Wedding-day-Coordination, Consultation. Rehearsal, Wedding planning, DIY Checklist for brides, Wedding preparation, Wedding Organizer, Wedding organizing, Wedding consultant, day-of wedding coordinator, Wedding organizing, Wedding event planner, Wedding, Wedding day Planner, Weddings on a budget, Wedding ideas on a budget, wedding day. Facebook fans 920. Twitter followers 442. Facebook fans 377,490. Twitter followers 12,135. Facebook fans 25,293. Twitter followers 35,864. Facebook fans 282,060. Twitter followers 11,425. Australia About Blog Polka Dot Bride the Australian wedding blog dedicated to inspiring you to create a beautiful wedding uniquely yours. Facebook fans 62,854. Twitter followers 32,891. Australia About Blog Polka Dot Bride the Australian feel good wedding blog dedicated to inspiring you to create a beautiful wedding uniquely yours. I hope to touch on anything and everything wedding related that may be useful to todays couples - style, unique finds, fabulous suppliers, with a bit of fun thrown in. Facebook fans 62,939. Twitter followers 33,149. Bedfordshire, England About Blog UK Wedding Blog with real weddings, wedding ideas & beautiful wedding photography. DIY, budget, quirky, pretty & rustic inspiration. Facebook fans 34,220. Twitter followers 40,812. California About Blog Wedgewood Wedding & Banquet Center offers premier wedding reception venues, all providing the same Value, Service and Convenience that have become our trademark "Valservenience." From golf courses to the beach, we have the perfect venue for your big day. Facebook fans 15,450. Twitter followers 39. Orange County About Blog Grey Likes Weddings is Love. Well Styled -- a wedding blog dedicated to stylish and discerning brides, curated by stylist Summer Watkins and updated daily with hand selected real weddings, inspiration and the world's best wedding vendors. Facebook fans 17,395. Twitter followers 45,591. Shipping Worldwide About Blog Wedding Invitations and Inspiration from Shine Wedding Invitations. Built on a foundation of classic design and quality materials, Shine Wedding Invitations was launched in 2008 as a response to the need for elegant and timeless wedding invitations. Facebook fans 15,546. Twitter followers 456. Salt Lake City, UT About Blog A wedding blog dedicated to classy inspiration and beautiful ideas. Start by downloading your free 12-week wedding planning checklist! Facebook fans 160,495. Twitter followers 4,005. Everywhere About Blog Best of Wedding Photography is a premier invitation-only association for the world’s top wedding photographers. Our photographers are leaders in the wedding photography field, both in terms of the quality and style of imagery they produce and their level of success and recognition by brides, fellow photographers, and others in the wedding industry. Facebook fans 2,517. Twitter followers 2,370. About Blog A wedding blog for lovers of all things vintage and vintage inspired. Facebook fans 12,999. Twitter followers 1,694. Seattle, WA About Blog Love & Lavender outdoor wedding blog to plan your outdoor wedding: free printables, wedding stationery reviews, styled shoots & real weddings. Facebook fans 8,346. Twitter followers 8,818. Toronto About Blog KnotsVilla (formerly known as Everything Weddings And More) is here to bring you as much as it can about the Wedding Industry. Bringing you the latest trends, news, inspiration and more with words and pictures. Let KnotsVilla keep you informed about the fast growing Wedding industry and offer help to anyone who may be planning or just searching for more information/ideas. Facebook fans 3,758. Twitter followers 3,364. Australia About Blog Paperlust brings you wedding invitation ideas, the latest paper and typography trends, DIY wedding projects and help with you wedding invitation wording. Paperlust is the newly launched independent designer print marketplace invitations and stationery. Facebook fans 11,198. Twitter followers 434. Williamsburg, Virginia About Blog Tidewater and Tulle is the wedding inspiration blog for couples getting married in the southeastern coastal region of Virginia. Whether it is in the sands of Virginia Beach, on the cobblestone streets of historic Williamsburg, or in a rustic barn outside of Richmond, Tidewater and Tulle loves to be a resource for Hampton Roads couples and wedding professionals. Facebook fans 2,772. Twitter followers 1,623. Los Angeles, CA About Blog The Overwhelmed Bride is a bridal lifestyle blog and coordination company, helping you get to and through a stress-free wedding day! We offer tips and tricks in all areas of a bride's life, helping you cope with the dreaded stress that comes along with planning a wedding and bringing you to a more enjoyable engagement! Facebook fans 2,259. Twitter followers 11,418. About Blog Eclectic wedding inspiration for the bride you want to be whether that's modern, vintage, alternative, whimsical, fun, stylish, rustic or simply beautiful! Facebook fans 6,173. Twitter followers 16,219. About Blog Welcome to So You're Getting Married, a blog dedicated to bringing you daily doses of pretty things from around the wedding world. A UK Wedding Blog. Facebook fans 5,024. Twitter followers 14,471. About Blog Designed in Milan, the fashion capital of the world! Couture, classic or dramatic, Eddy K. has the perfect wedding gown for every bride. Facebook fans 74,251. Twitter followers 4,654. Pittsburgh, PA About Blog A blog dedicated to inspiring, showcasing, and celebrating Pittsburgh weddings! Real Pittsburgh engagement and wedding features, vendor recommendations, planning tips and tricks, DIY tutorials, ideas and inspiration, tools and resources, and much more! Facebook fans 2,106. Twitter followers 697. Australia About Blog La Bride was established in 2013 to fill the gap of an industry and build a bridge connecting people. We are a Chinese wedding blog based in Sydney with audience both in Australia and all over the world. Facebook fans 21,547. Twitter followers n/a. New York About Blog Catalyst Wedding Company highlights weddings by and for game-changers. We seek to amplify and empower voices and viewpoints that are usually missing from the Wedding Industrial Complex. We're a community of badass wedding professionals who love all things funky, fresh, diverse, unique, and personality-driven; we convene twice yearly for (un)convention, a collaborative workshop, styled shoot, and dinner party. Facebook fans 2,111. Twitter followers 349. Newbury, England About Blog Secret Wedding Blog is a blog dedicated to multicultural, fusion and beautiful weddings. Facebook fans 2,495. Twitter followers 4,542. About Blog Get ideas for your wedding ceremony. Browse high-quality photos of wedding dresses, bridal bouquets, rings, bridesmaids dresses, brides, grooms and more. Facebook fans 1,570. Twitter followers 110. Virginia, USA About Blog Hill City Bride is a niche blog which inspires brides in Lynchburg and surrounding areas. As the only local online resource to peruse at your leisure, we are available 24 hours a day and feature posts on ideas, trends and styles for today's bride. Facebook fans 3,400. Twitter followers 3,260. About Blog Festival Wedding Inspiration is a cool and alternative UK wedding blog focusing on festival wedding inspiration, bohemian style ideas and quirky suppliers for free spirited brides and grooms. Facebook fans 12,655. Twitter followers 11,140. About Blog DIY Bride empowers couples to create amazing weddings no matter what their budget, style, or level of craftiness. It is an interactive learning environment and open community for couples who're planning a wedding. We invite all interested in getting hands-on in all aspects of creating their wedding day from planning to crafting. Facebook fans 6,356. Twitter followers 18,391. Richmond, Virginia About Blog The Wedding Blog from Richmond Weddings has tips and advice from industry professionals. Be inspired by our Theme Thursdays and real Richmond bride stories. Facebook fans 4,219. Twitter followers 1,279. Facebook fans 65,360. Twitter followers 1,595. Facebook fans 391. Twitter followers 748. About Blog No.1 Wedding & Lifestyle Magazine in Scandinavia. Modern, personal and unique with a stylish twist. Established 2012. Facebook fans 16,826. Twitter followers 392. Charleston, SC & New York, NY About Blog Tara Guerard Soiree is a full service event planning and design firm, known for creating spectacular settings for life's most anticipated occasions. Facebook fans 4,630. Twitter followers 8,311. Wales About Blog Cwtch The Bride is an inspiring Welsh Wedding blog. A safe place for B&G's planning their welsh wedding & looking for inspiration from Wales. Facebook fans 11,534. Twitter followers 3,196. UK About Blog Nu Bride is a modern UK wedding blog, with a splash of diversity. For the contemporary bride looking for inspiration, planning advice & fun in the wonderful world of weddings. Facebook fans 1,734. Twitter followers 10,180. NJ About Blog We specialize in rustic and vintage style documentary wedding photography in Boston, MA, NH, & VT. Our work has been compared to Anthropologie and has an ethereal timeless quality. Facebook fans 22,098. Twitter followers 2,170. Houston, Texas About Blog We’re passionate about all things weddings and publish the most beautiful bridal magazine around (we think so). We're also a user-friendly, popular and informative website and host Houston's most elegant and upscale bridal soiree, the I Do! Soiree. We love what we do and have a reputation as innovators in the bridal publishing industry. Facebook fans 84,788. Twitter followers 4,447. Scotland, United Kingdom About Blog Tie the Knot Scotland is a bi-monthly bridal magazine that's bursting with stylish inspiration and indispensable advice for your big day. Facebook fans 9,594. Twitter followers 5,851. Southern California About Blog Details Details is a premier full service event coordination company that specializes in wedding planning and event planning. Facebook fans 34,097. Twitter followers 3,195. About Blog Whether you are getting married or a planner planning a wedding or event, there is something here for you. What if you dont fall within these two categories, no worries, there is something here for you to from beauty to lifestyle to recipe ideas. You can draw inspiration from somewhere at EventSoJudith. About Blog Showcasing the beauty in #everybride Wedding Blog, Inspiration, Bridal Accessories, Gowns. Australia About Blog Farewell Fiancé provides wedding ideas and inspiration for bride and grooms all over Australia. Inspirational wedding and lifestyle publication for fiancés and fiancées, brides & grooms focusing on style, senses and design. Facebook fans 10,994. Twitter followers 3. UK About Blog Wedding Blog that redefines the alternative unique wedding by breaking tradition. Unique wedding ideas and unique wedding inspiration for the Bride who wants an alternative and unique wedding. We also rock Alice In Wonderland inspired weddings on this blog for wedding. Facebook fans 2,746. Twitter followers 15,194. Facebook fans 1,032. Twitter followers 549. Byron Bay About Blog Figtree Wedding Photography is a wedding photography studio based in Casuarina, NSW. Specialising in wedding photography Byron Bay, Gold Coast and Brisbane. Facebook fans 7,229. Twitter followers 95. Washington, DC About Blog We are a boutique style wedding planning company. Every wedding is custom-designed for each couple with fresh and charming details. Our swanky ideas, attention to clever details and flawless executions canvas the DC Metropolitan area. Weddings traditional, unconventional, grand or intimate. Facebook fans 1,161. Twitter followers 3,215. Lake Oswego, Oregon About Blog Portland Oregon Wedding Planning and Design. Specializing in Wedding Planning and Design in the Pacific Northwest including Seattle. Facebook fans 2,898. Twitter followers 542. UK About Blog Way Out Wedding is an award-nominated blog about modern details, aimed at brides and grooms of all ages who want to inject style into their big day, whether they are classic, quirky, or all out off the hook. Facebook fans 2,481. Twitter followers 2,132. Los Angeles, CA About Blog AisleMemories is a wedding blog about everything weddings and beyond for engaged couples, bridal party, family, friends, newlyweds, and married couples. Facebook fans 241. Twitter followers 34. Facebook fans 1,342. Twitter followers 1,998. Vancouver About Blog Personalized proposal & wedding planning in Vancouver, Whistler, and Okanagan, BC, creating memorable occasions that are wildly unique and true to you. Facebook fans 834. Twitter followers 825. About Blog Specialist wedding & events florist where everything we do is tailored to you. Friendly, professional and creative, we work closely with you really taking the time to understand your tastes, wishes and floral style - even if you haven’t yet discovered it yourself. Facebook fans 440. Twitter followers n/a. Austria About Blog European adventure wedding and lifestyle blog for outdoorsy and adventure loving couples. If you love adventure, you'll love We Are The Wanderers. Facebook fans 6,978. Twitter followers 18,068. About Blog Contemporary wedding photographer specialising in creative wedding reportage photography. Facebook fans 7,038. Twitter followers 5,655. Facebook fans n/a. Twitter followers 4,164. About Blog Engaged couples: To bring to you simple, stress-free wedding planning with a complete online wedding planning application, local vendor network & more! Vendors: To help you build a beautiful profile to attract more leads & showcase your work to prove to the world how great you are! Facebook fans 3,861. Twitter followers 6,497. About Blog Hello May is the brainchild of Editor Sophie Lord. There’s a hell of a lot of awesomely talented and insanely creative people out there working to make the quirks of your wedding day every bit as unique, fun, and inspiring as you imagine it to be – we wanted to connect all those wonderful wedding vendors with inspired brides. Facebook fans 59,243. Twitter followers 1,585.
global About Blog Brenda’s Wedding Blog is the no-nonsense wedding planning guide for elegant weddings with wow. Featuring Styled Shoots, Inspiration, Real Weddings, and a Vendor Guide. Facebook fans 3,781. Twitter followers 19,927. About Blog The online directory for couples planning a natural, eco-friendly, ethical, vintage or handmade wedding. The directory lists over 300 fantastic businesses that supply services or products that fit with our ethos, from seasonal flowers to organic wedding cakes, woodland venues to ethical rings. Run by Charlie Burton. Facebook fans 5,418. Twitter followers n/a. About - Your go-to destination for all things pretty, Style Me Pretty has been inspiring brides- and grooms-to-be with everything they need to plan the wedding of their dreams since 2007. From the best vendors around the world and the most beautiful real weddings to wedding planning tips and tricks and the latest trends fresh from the runway, Style Me Pretty is here to be every bride's virtual maid of honor and wedding planning BFF. About - A wedding blog for stylish brides and creative couples. About - Your Inspiration for an unforgettable Wedding Celebration. The Blog from David's Bridal - the leader in Beautiful Bridal Gowns and Dresses! About - Our site inspires and facilitates the most special events in life - weddings, birthdays, anniversaries, engagements. About - The best UK wedding blog & directory for brides and grooms featuring real weddings, inspiration, ideas and useful planning advice to create your day your way. About - Love My Dress is beautiful wedding blog full of inspiration for brides and those planning a wedding that embraces glamour and elegance and encourages sophistication and style, whilst remaining true to the love story behind every wedding. About - Welcome to So You're Getting Married, a blog dedicated to bringing you daily doses of pretty things from around the wedding world. I also feature beauty, home interiors, fashion, and recipes. About - Beautiful, fun, stylish, wedding inspiration and unique ideas on this blog. About - The easiest way to find the best wedding venues, wedding gowns, wedding cakes, invitations & much more. Bridal Gowns 2018 collection. About - Real Weddings is the go-to source for couples in B.C. We feature real, local couples, showcasing the talented local vendors that operate across the province. We share expert advice and trends to make planning your wedding easier. About - Blush + Bowties is a Toronto-based, boutique style wedding planning company, specializing in charming, stylish, personalized parties. About - Weddingbells is the modern, savvy, style-conscious bride-to-be's authority on all aspects of wedding planning. About - A blog dedicated to small and intimate weddings. Step inside for oodles of DIY wedding ideas, real weddings and unique small wedding venues that will make your intimate wedding as charming and one-of-a-kind as you are! About - Polka Dot Bride the Australian feel good wedding blog dedicated to inspiring you to create a beautiful wedding uniquely yours. About - Nouba is an Australian wedding blog about creative couples and inspiring vendors. We’re all about brides and grooms doing things their way on their big day. About - Modern Wedding Magazine is your ultimate bridesmaid – We'll help you with inspiration, invitations, flowers, wedding dilemmas, dresses, deals AND connect you with the most talented and trusted wedding vendors. About - You see, while there are plenty of bridal magazines and websites to be found, we felt none quite connected wedding vendors and brides-to-be so that you can really get to know (and like!) the photographer, stylists, stationery designer or make up artist involved in the intricacies of your day. That’s where Hello May comes to the party. About - Farewell Fiancé provides wedding ideas and inspiration for bride and grooms all over Australia. Browse our blog today to start planning. About - Wedding planning ideas, Bridal wear trends, makeup styles, wedding decor, shopping tips & all about weddings in India - Find it all on WedMeGood Blog. About - Indian Wedding Blog, Wedding Planning Blogs and Wedding Trends - Get it all here at Weddingz. About - Bringing you ideas and inspirations for your wedding planning. From fashion and beauty trends to décor ideas and real weddings – WeddingSutra offers an unmatched blend of insightful content. About -Welcome! to Maharani Weddings. I hope to inspire brides with fabulous ideas and creative details and also to encourage a lot of smiles! Aside from the jewelry and show-stopping fashions, South Asian weddings are so special because of the incredible connection between families and communities. 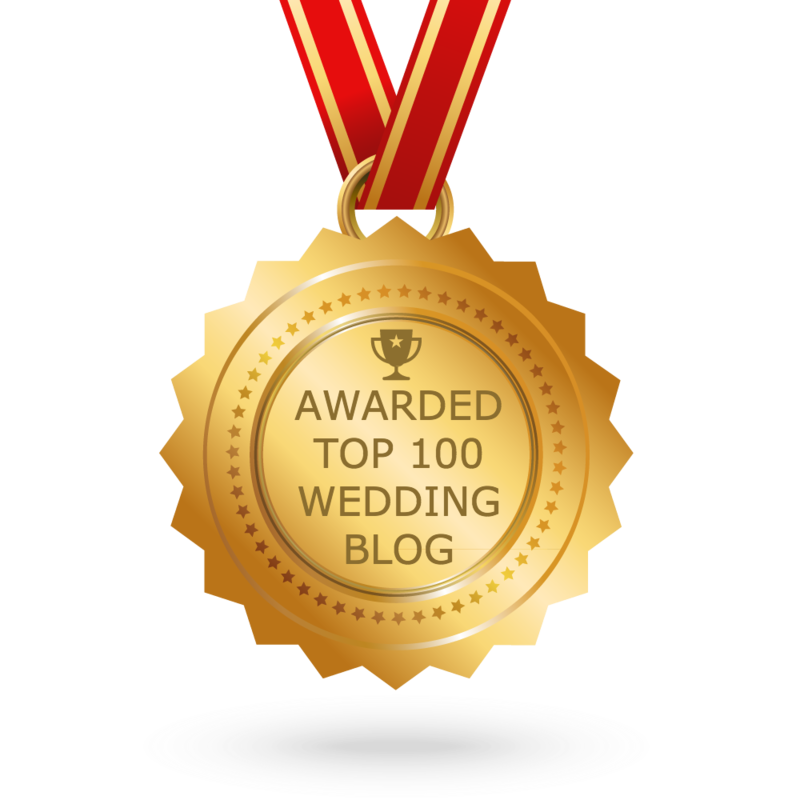 CONGRATULATIONS to every blogger that has made this Top Wedding blogs list! This is the most comprehensive list of best Wedding blogs on the internet and I’m honoured to have you as part of this! I personally give you a high-five and want to thank you for your contribution to this world.